The following vacancies have been notified to us by Montessori schools. Please apply directly to the schools, not to the Society. Please submit job descriptions as word documents and accompanying photos and logos as jpegs. 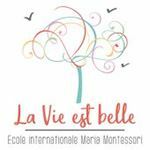 Montessori English School of Barcelona, located in the center of Barcelona, is seeking AMI Elementary Teacher (6-12 years) starting in September 2019. Both experienced and young certified teachers are welcome. We offer fully equipped classrooms, supportive community, attractive salary and benefits, help with relocation and accommodation. Based in Watford and minutes away from London by train. Fully committed, enthusiastic hardworking individuals required. Need to have a Positive, reflective and flexible attitude Working knowledge of the application of Montessori principles EYFS knowledge. For the right candidates, a very competitive salary package will be offered which includes private health care, hot lunches, healthy snacks, quality in house training and support for further training. Leavesden Montessori House is recognised as exceptional and has had strong positive feedback from the parents. Recruitment is done throughout the year. Additional details will be available upon receipt of your application. 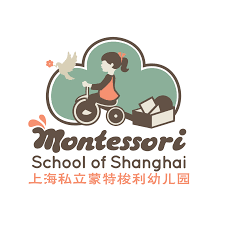 We are looking for a dedicated, reliable and enthusiastic Montessori Teacher who has a strong passion for providing quality childcare and a healthy learning environment for all children. They must be reliable, self-motivated, flexible, and have the children’s best interests at heart. The candidate must be Montessori qualified, committed and professional. This is a full-time role (flexible shifts between the hours of 8 am and 6 pm, usually about 41 hours per week) . Adherence to all the nursery’s policies and procedures. Taking on Key Person responsibilities including: tracking children’s progress, observing, planning and implementing the skills development of the children in accordance with the Montessori and EYFS Curriculum. 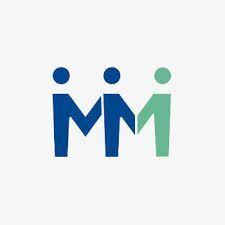 Liaising with and forming strong partnerships with parents/carers, including taking part in developmental progress review meetings and providing daily feedback to parents/carers. Organised, reliable and a good communicator, with the ability to work on own initiative. Good understanding of planning, observation, assessment and evaluation. Ability to work together with other team members to create a fun, stimulating/engaging and welcoming Montessori environment both indoors and outdoors. A team player actively participating in day to day activities and identifying areas of improvement within the nursery. Creative and keen to use creativity and initiative around the nursery and a willingness to be involved in extracurricular activities and events. A caring and nurturing attitude towards children to bring out the best in them. Passionate about providing the highest quality of childcare. Willingness to access in-house and external training and career development opportunities. You will undergo a 6-month probationary period. You will be provided with a free DBS check and uniform.